A running group, which has surged in popularity with hundreds of people now regularly turning out, has been awarded a Your Call grant in recognition of its success. 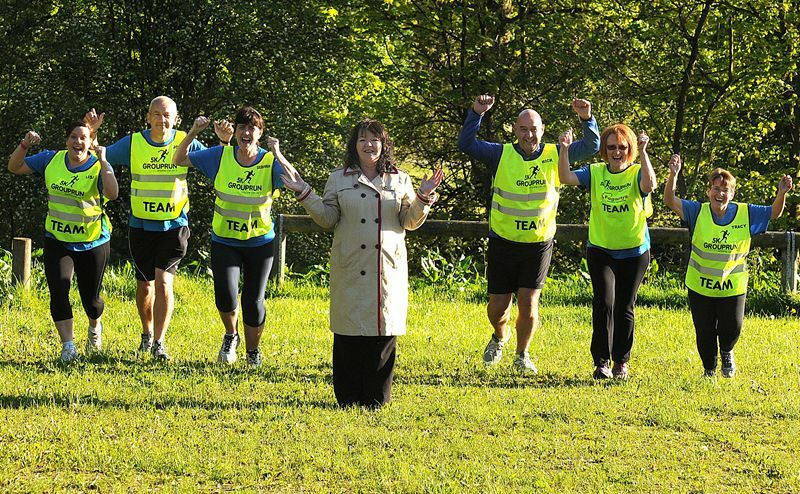 Councillor Kate Hollern, leader of Blackburn with Darwen Council, was so impressed with the work of the free 5K Group Run she agreed to fund some equipment they needed. 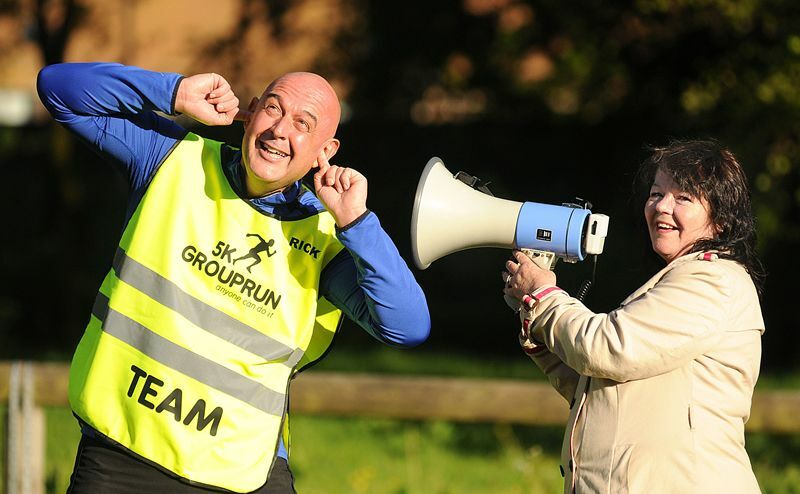 Founder of the group Rick Wilson said he was delighted with the grant of nearly £500 to buy hi visibility team bibs for volunteers who help support other runners. Rick, from Revidge, launched the group last summer. He weighed nearly 20 stone but wanted to train towards running the Pennine Lancashire 10k race. The 46-year-old said he thought about joining a running club but thought it might be a bit daunting so decided to set up one himself after finding out aboutr an NHS running programme called “Couch to 5K”. In eight weeks, he lost three stones. Word spread around and the group got bigger and bigger. Rick, who has also won a Pat on the Back award and been nominated for a Good Neighbours award for his efforts, said about the grant: “I am delighted and want to say a massive thank you to both Councillor Hollern and Councillor Sylvia Liddle for their support. “We now have a pool of 104 volunteers, who have all completed the Couch to 5K plan themselves, and there are usually around 65 of them attending every session.